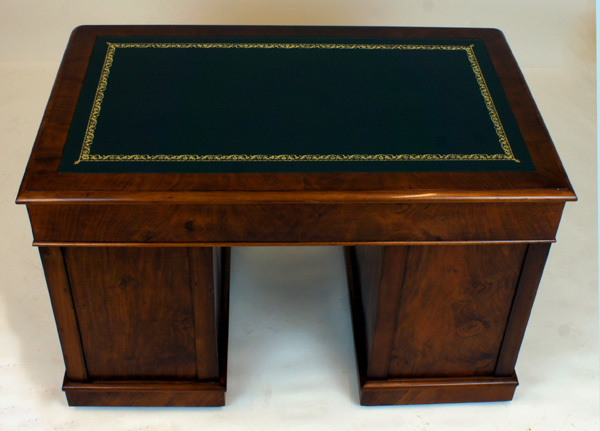 The sides and the back are finished in a simpler figured walnut with a larger pattern but with the same glowing deep honey colour. 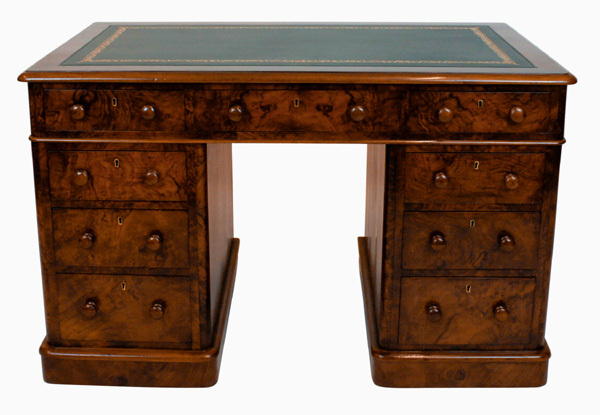 This antique desk has been sympathetically and traditionally restored and has an attractive dark green writing leather blind and gilt tooling and gilt tooling. 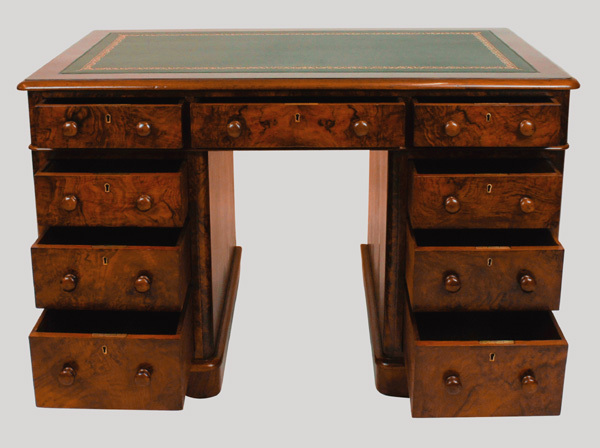 This beautiful small antique desk would make an ideal ladies desk as the proportions of the knee-hole are smaller than average. 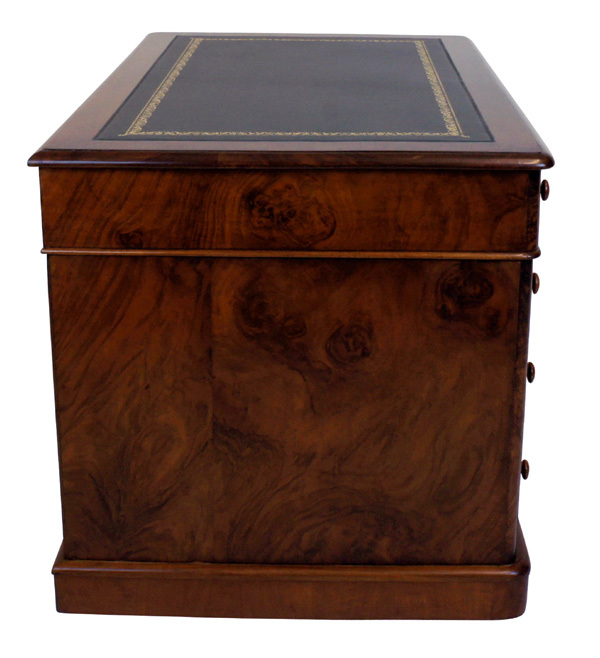 All drawers are constructed with hand cut dovetails, mahogany linings, brass locks and turned wooden handles. 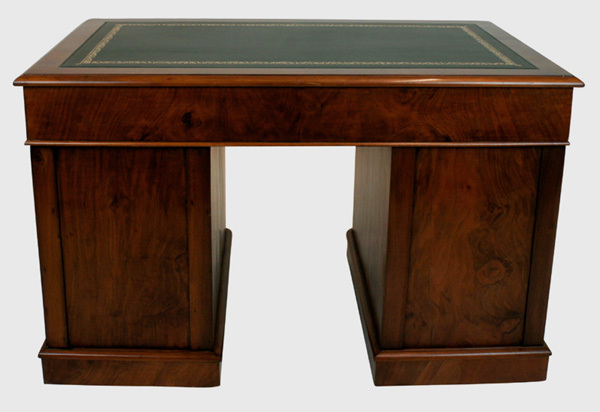 The pedestals have a plinth base with hidden casters.